Hardwood flooring and laminate wood flooring are always popular choices for Indianapolis homeowners. 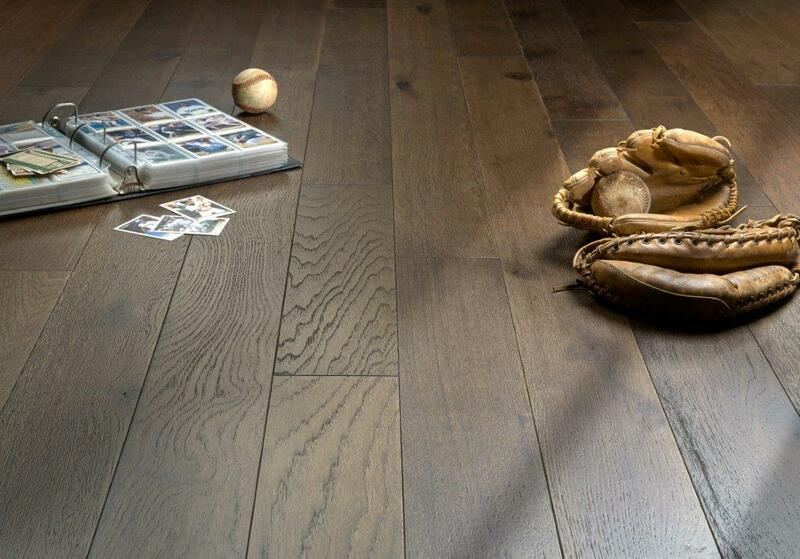 Wood floors are beautiful additions to any room in the house and have a classic style that stands the test of time. Rarely does a day go by when our design consultants aren't working with someone to find the best hardwood floor for their needs. We compared notes and came up with these four trends in wood flooring. Some people are worried that the hardwood floor they want isn't a sustainable choice. However, today's manufacturers are more sensitive to environmental issues than ever before. There are plenty of wood floor options that are eco-friendly. It's also worth considering the fact that wood floors are so long-lasting that they are naturally sustainable simply because you won't be tossing them in a landfill for decades. Just what types of wood floors are eco-friendly? Bamboo floors: Made from quick growing bamboo grass, these floors are naturally water resistant, sustainable and beautiful options. Cork floors: Another floor that looks like wood but, since it is made only from the bark of the tree, is very eco-friendly. This floor has the added bonus of being water resistant and softer underfoot than other wood flooring - it's a great option for the kitchen. Whether you are looking at solid hardwood or laminate wood, there are more options for plank widths and lengths than ever before. Once you find the wood species that you like, you can truly make a wood floor your own by mixing and matching different plank sizes. Dark wood floors are a trend in part because of how well they complement popular grey trends in home design. Some woods are naturally dark in tone, think walnut, but with today's stains and finishes you can make even the lightest maple floor a dark, lustrous floor that looks beautiful in a modern decor. The rustic, cottage feel of distressed or hand-scraped wood is another popular design trend. 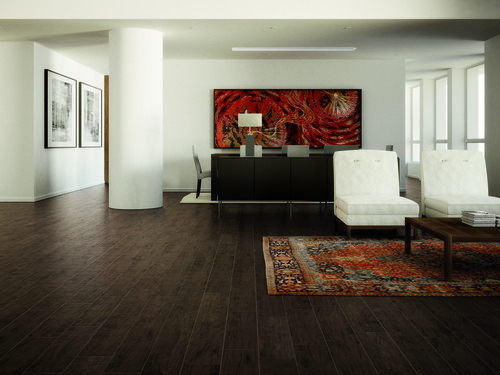 Even laminate floors get in on this trend by adding texture to the top layer that mimics natural wood distressing. As you can see, wood floors are both timeless and trendy. Ready to check out today's range of options? Stop by Indianapolis hardwood flooring store Kermans to learn more.